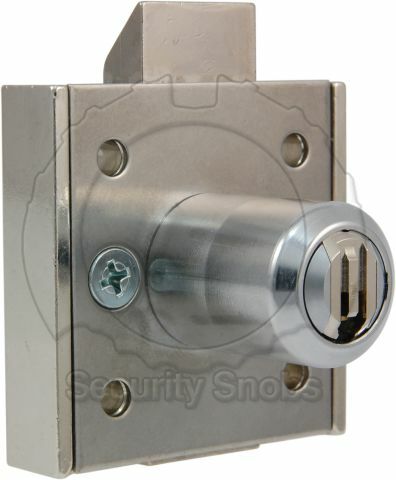 The BiLock Drawer lock can be used to secure drawers and doors on cabinets, desks, and other common items. 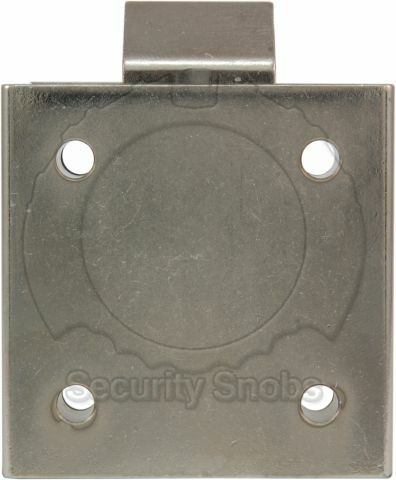 It has a square body with a rectangular bolt that raises above the top of the lock to prevent access. The lock mounts on the inside so the cylinder protrudes out the front of the lock and through to the outside of the cabinet door or drawer. 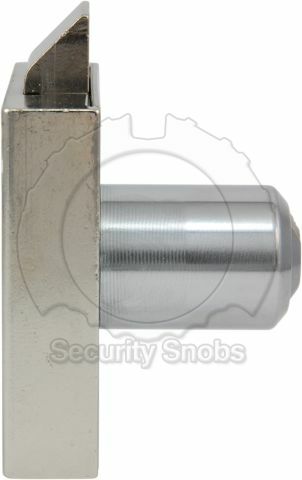 The bolt is "dead latching" meaning it cannot be pushed into the body of the lock without turning the key. 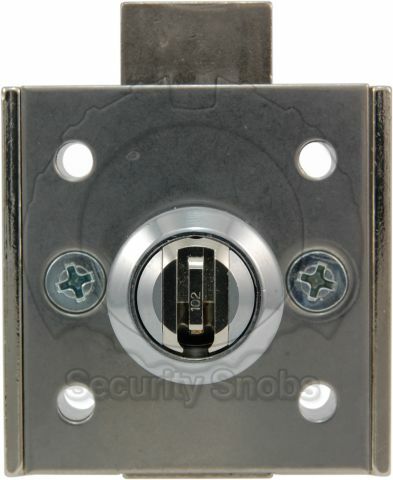 Most furniture locks install fairly easily from the back or inside of the device. If the device is not pre-drilled for the lock a circular hole does have to be drilled that is 4/5" (0.785") in diameter for the cylinder to install into. 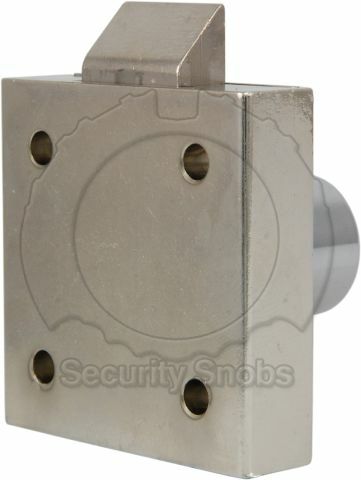 BiLock Cabinet/Drawer Lock was successfuly added to your shopping cart. You can browse for more products or proceed to checkout.